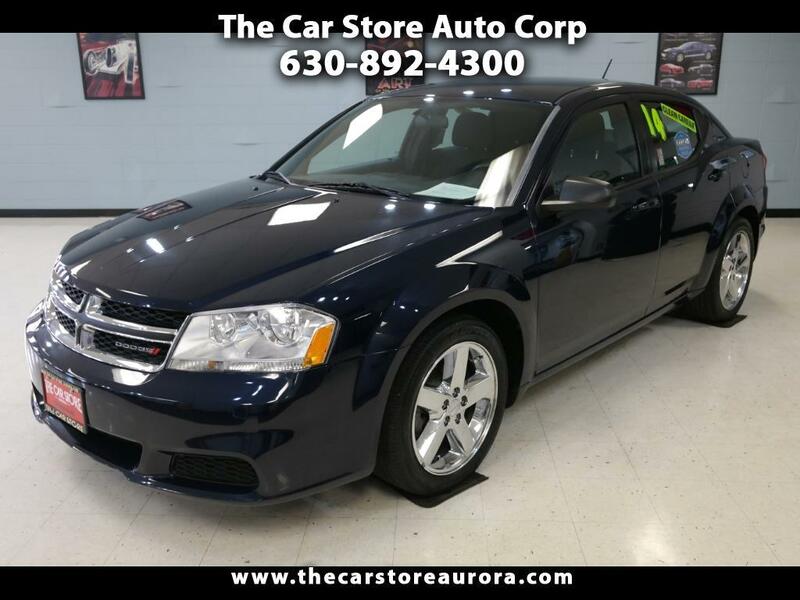 CHROME WHEELS * SHARP * 63k MILES * AUX AUDIO INPUT * SHOP @ WWW.CARSTOREAURORA.COMThis 2-Owner Carfax Certified 2014 Dodge Avenger comes with a Clean Carfax! This car is sharp, come take it for a drive today! This Avenger is the sporty sedan you've been waiting for and at such affordable price. This Avenger is priced right and will not last long, come take it home today! If you were looking for a car with style and with low payments this is the ticket! Come on in today before someone else does. Buy with confidence from a Carfax Advantage Dealer with an A+ rating from the BBB. Please visit our website for the most up-to-date information on this vehicle. Proudly serving the Aurora, Naperville, Oswego area for over 20 years. Prices subject to change without notice. If you are looking for a 2011 Chrysler 200, 2012 Charger SXT R/T, 2015 Chevrolet Impala LT, 2016 Chevy Malibu LTZ or 2015 300C or 2013 Avenger SXT please call us for availability.CUT AND PASTE 4 MORE PHOTOS * CUT AND PASTE 4 CARFAX *www.carstoreaurora.com Want more reasons to come to check out The Car Store? * We are an A+ Rated Auto Dealer with the Better Business Bureau. * Our customers love us! Just check out our reviews. * We have been selling cars longer than Google has been Google! * Vehicles are detailed & Carfax Certified. * Great financing rates are available through our network of lenders! * Serving your family and neighbors since 1994!